Setup in 2008 by Cresyn Korea as an initiative to launch its own high end headphone line, Phiaton is the new baby in the business. 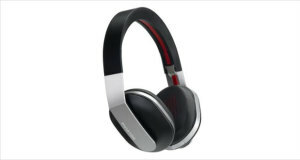 The bloodline dates as far back as 50 years, though, with the mother company having as many as fifteen branches and thousands of people working dedicatedly to bring to the market an assortment of professional level headphones and earphones. 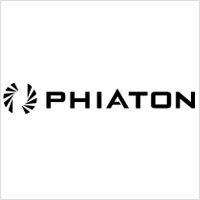 Phiaton, with its high performance audio devices that delivered immaculate sound reproduction, hassle free and lightweight designs, state of the art technology and sleek modelling, caught the attention of the US populous as soon as it arrived. Soon enough, though, Phiaton had caught the attention of the global market; it bagged numerous awards within a year of its establishment, in 2009, at the 2nd Annual International Designs Award. The global stage recognized the innovative genius that was Phiaton, and serenaded it with awards in a varied range of categories, right from International Designer of the Year to Achievements in support categories within architecture, interiors, products, graphics, and fashion. Then on, it was one endless journey of producing exquisite audio devices for personal and professional use for its customers. Phiaton PS 210 BTNC Bluetooth 3.0 Active Noise Cancelling Stereo Earphones with Mic is a lightweight, mid-range noise cancelling earphone that cut off 95% of ambient sound to reproduce clean and crisp sound. The neat EverPlay-X technology allows for passive noise cancellation when the battery is dead, or when the Bluetooth is off. To complete the cake, the PS 210 comes with Phiaton’s very own creation: the Half In-Ear design. This combines the phenomenal bass response of In-Ear design with the crisp trebles that come with the Open–Ear design headphones. Easy to use control settings and a sleek design adds the cherry on top!